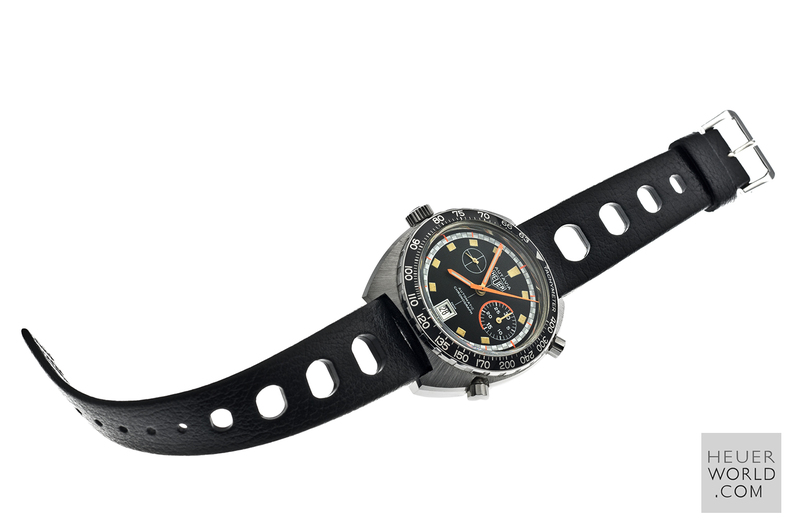 The Autavia 11630 case replaced the 1163 around 1972/1973. The new case was thicker with a flat mineral crystal replacing the domed plexi. The distinguishing feature is the closed pushers as viewed from the top allowing for the uninterrupted bevelled edge and brushed top surface of the case. Various bezel, dial and hand combinations were used in conjunction with the Calibre 12 movement for chronographs and Calibre 14 for the GMT.